Once I knew Marcie and I were going to go ahead with MARM, I started collecting odds and ends of Margaret Atwood books and stories, including as many of her children’s books I could find through my library. 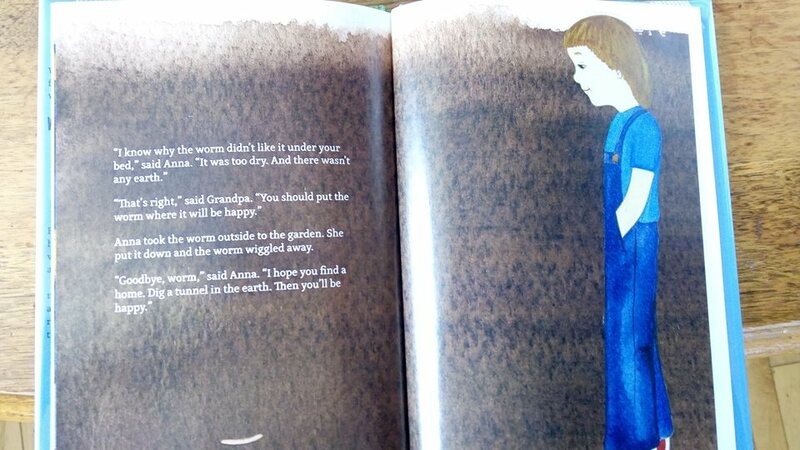 The first book for children Margaret Atwood wrote, I think this is my favourite of the lot. It’s simple and engaging with clear illustrations. 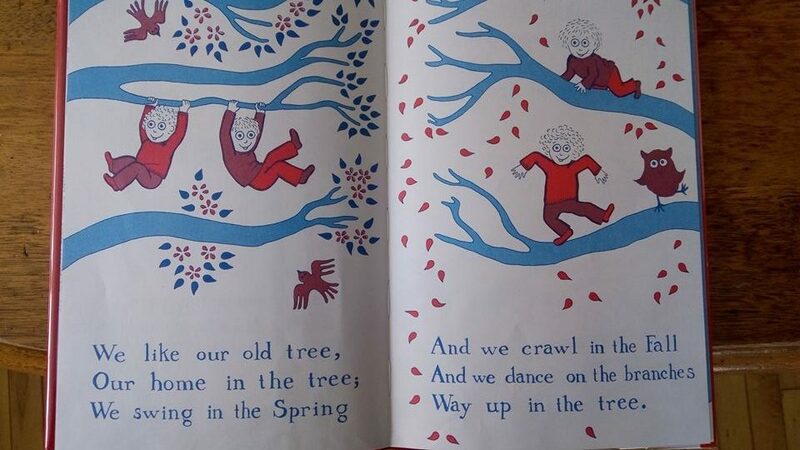 And what child doesn’t dream of living in a tree? This is the one and only Margaret Atwood I read to my own kids (just because I didn’t know there were more! Goodreads is a wonderful thing.) It’s a little more involved than the others – with short chapters – so might be best for school-aged kids. Perfect for my crew when they were little, as they wanted all the critters they found in the yard to be their pet. They loved giving slugs pushes on the swing (slugs are good at swinging – they don’t fall off easily!). If you (or your child) love alliteration, this book is for you. Bob was living with dogs when he met Dorinda, who lived with her despicable relatives. Not to worry about these two, though… together, they triumph in the end. 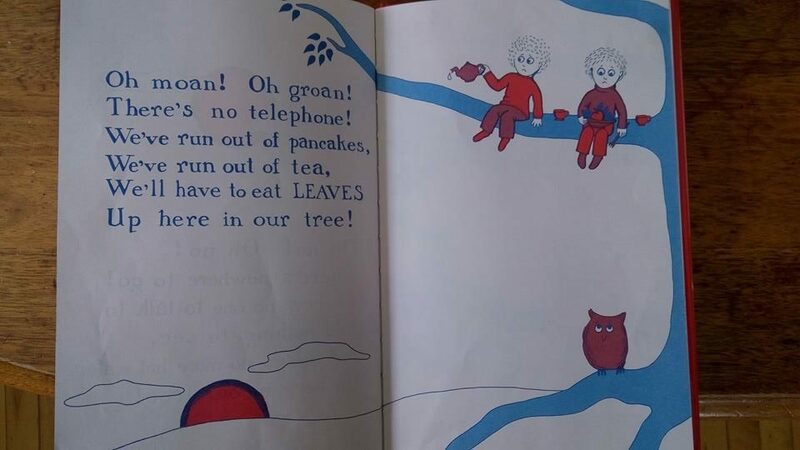 Another story full of alliteration (in which a younger child would be overwhelmed, I think). 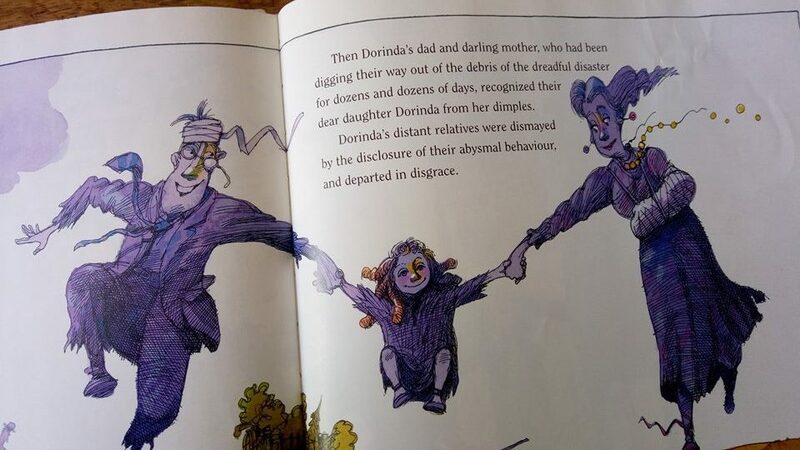 Like Bob and Dorinda, poor Wenda is also left parentless at the beginning of the story, and wanders in search of them. 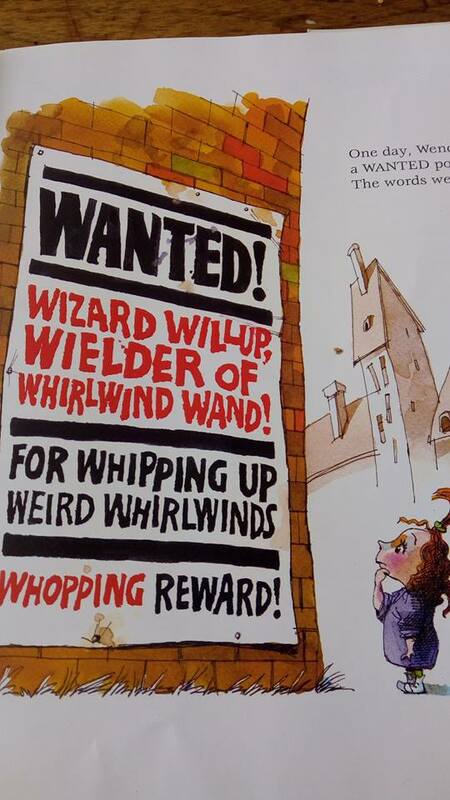 She winds up at Widow Wallop’s Wunderground Washery where she finds other children whose parents have been “whisked away by a weird whirlwind”. But, fear not, Widow Wallop gets her comeuppance in the end. This book contains three stories, two of which are Bashful Bob and Wandering Wenda. The third is Rude Ramsay and the Roaring Radishes. This book is not as bright and colourful as the others. The stories are condensed and found in the general fiction section rather than with the picture books. Many of the illustrations are still there, but they’re in black and white. 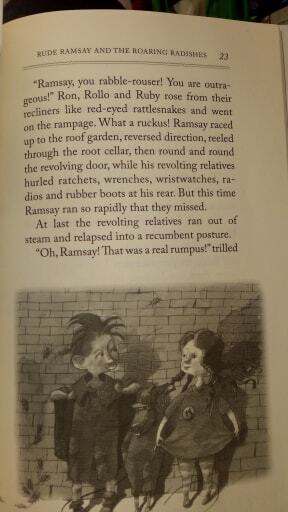 Rude Ramsay resides with his “revolting relatives” in a “ramshackle rectangular residence”. Along with his friend, Ralph the rat, Ramsay goes in search of something edible, but instead ends up finding a friend. Have you read any of these? Do you know of other well-known authors who have penned books for children? Do the alliterated books make you want to try writing one yourself?! I remember seeing children’s books listed in her bibliography, but I’ve never had a chance to read them. I think I would particularly enjoy the alliterative ones! The alliterative ones are so much fun to read. And it really made me want to give it a try, even just to see how hard it would be to come up with all those alliterations. I’d make good use of my thesaurus! I had no idea Atwood wrote children’s books. I love the look at Up in the Tree from that small glimpse. And I adore hand-lettering! It’s a fun book for kids. And I thought the creation of it was so interesting! I adore alliteration! Taking time to track down the Trio today. Thanks for the post! That’s a good choice – three in one! Who knew Atwood wrote children’s books? Huh! I’m also ignorant about Atwood’s children’s books! I’ll have to track them down at the library. The alliterations are especially fun to read! I hope you have some! Gosh is there anything this woman can’t do? The hand-lettered type is damn impressive. I totally forgot about her children’s books but I love these all the same.Any life lessons she has to offer my kids I’m sure I would agree with 100% too. She never fails to impress, does she?